How Far is Pharande Rama Celestial City? Pharande Rama Celestial City, a residential project located in Pune, developed by Pharande Spaces. A lavish project loaded with modern day facilities and services allows the home buyers to have a complete and elated life. At Pharande Rama Celestial City you can find space which is suitable for the whole family. Here you will come across ready to occupy apartments which are for sale in Ravet locality. The size of 1BHK apartments is 757 Sq ft, 819 Sq ft. The size of 2BHK apartments is 895 Sq ft, 1043 Sq ft. The size of 3BHK apartments is 1210 Sq ft, 1310 Sq ft. This elegantly crafted project is spread across 25 acres with multiple storey. this integrated township is complete with everything that makes life worth living. Carefully chosen lifestyle amenities are placed at Pharande Rama Celestial City, you can choose from exclusive options laid at Rama Celestial City. Along with 1BHK, 2BHK and 3BHK apartments in Ravet locality, Pharande Rama Celestial City offers many amenities, some of them are party lawn, convenient shopping, cricket pitch, skating rink, volleyball, gym, jogging track, basketball court, tennis court, swimming pool, clubhouse, library, amphitheater, 2-wheeler parking, and rainwater harvesting system. A self-sufficient world well connected to different parts of the Pune city, It is also flanked by reputed Hospitals, Schools, Colleges, entertainment zones, commercial complexes, and eateries. Pharande Spaces has their footprints many cities in hundreds of acres. Some of the cities are Pimpri - Chinchwad, Moshi in the North - East to Ravet in the West and in Pradhikaran. An ISO 9001-2000 certified company and a pioneer in the PCMC area offering many projects catering especially to the 42 sectors of Pradhikaran. Pharande Spaces are known for their unique and high-quality projects in residential sectors which includes apartments, row houses, and twin bungalows in PCMC and Pune. The Company has over 100 acres of upcoming residential and commercial projects in PCMC and Pune. Pharande Woodsville Phase III is an example of excellent work done by Pharande Spaces, the project is located in Moshi at Pune. 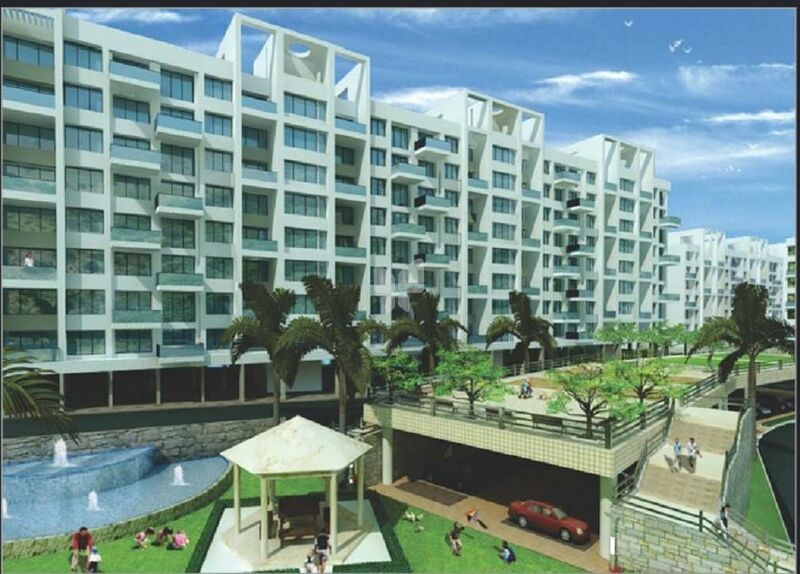 The project offers 2BHK and 3BHK apartment. Some of the amazing projects of Pharande Spaces are Pharande Rama Celestial City in Ravet, Pharande Puneville in Punawale, Pharande L Axis in Pimpri Chinchwad, Pharande Woodsville Phase 3 Cluster B in Chikhali and the list goes on. To create new landmarks, grow in the field of construction, create residential and commercial complexes which offer optimum solutions to a broad spectrum of society, surpass customer expectations and add value to their investment. To explore diverse areas of growth within the field of construction, encompassing the entire gamut of residential and commercial complexes; while doing so, raising the bar of our entire value chain of employees, vendors, associates and stakeholders.